The Karnataka High Court has vacated the stay granted by it to the accused in the Bt Brinjal biopiracy case. The court has asked the National Biodiversity Board (NBA) and Karnataka Biodiversity Board (KBB) to continue with the criminal proceedings against the present and former vice-chancellor of University of Agricultural Sciences, Dharwad. The ruling came on Friday after the high court stay was challenged by the two biodiversity boards. The case pertains to November, 2012 when NBA and KBB had accused the university, Maharashtra Hybrid Seeds Company (Mahyco) and Sathguru Management Consultants Private Limited of developing Bt brinjal by using indigenous varieties from the state without taking sanctions from the respective biodiversity authorities. The indigenous brinjal (eggplant) varieties were malpur, majari gota, kudachi, udupi, 112 GO and rabkavi (see ‘Whose germplasm is it?’). The action followed a public interest petition by a Bengaluru-based charitable trust, Environment Support Group (ESG), accusing the authorities of callousness towards protecting the country's biodiversity. They had drawn the court’s attention towards the reports submitted by the Comptroller and Auditor General (CAG) and the Parliament Committee on Agriculture and Public Accounts. The reports have pointed out the colossal failure of the Union Ministry of Environment and Forests (MoEF) and the NBA in protecting the country's biodiversity. The petitioners claimed that the main beneficiaries of such trade were Indian and foreign corporations and very little benefit was accrued to the national exchequer or to the communities conserving this biodiversity. They argued that Section 40 of the National Biodiversity Act of 2002, which allows such unfettered trade in India's biological wealth, also paves way for rampant biopiracy and petitioners call for quashing of this section as being ultra vires of the Act and the Constitution of India. 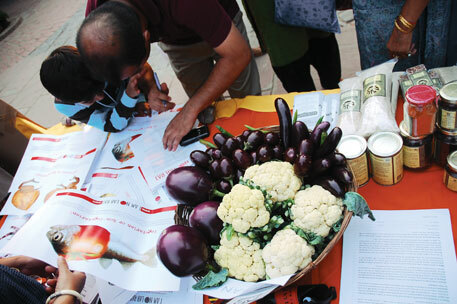 The petition also draws attention towards India’s first biopiracy case and has accused the government for failing to initiate action against Indian company Mahyco and various public agricultural universities involved in promoting Bt Brinjal by using local varieties of brinjal. It states that even more than a year after Indian environment minister Jayanthi Natarajan assured Parliament that violators would be criminally prosecuted, no legal action has followed till date. They claimed that this failure by regulatory authorities has also been strongly criticised by the Parliamentary Committee on Agriculture in its August 2012 report on “Cultivation of Genetically Modified Food Crops – Prospects and Effects” which has called for “....a thorough inquiry in the matter of continued paralysis in decision making on a case of this dimension”. They have sought court’s directions on environment, social and bio-diversity impact assessments based on meaningful compliance with the “principle of prior and informed consent” being made mandatory for all decisions impacting biodiversity, associated traditional knowledge and livelihoods. They also call for quashing of the ministry's notification on NTC as being illegal and urge the court to direct the ministry to institute appropriate systems, procedures and norms to protect India's biodiversity in strict conformity with the Biological Diversity Act of 2002, Panchayat Raj Act of 1992 and Nagarpalika Act of 1992 and Scheduled Tribes and Other Traditional Forest Dwellers (Recognition of Forest Rights) Act of 2006 and Environment Protection Act of 1986, among others.